A new v-cutter is on the way from Rocky Patel Premium Cigars and Colibri. 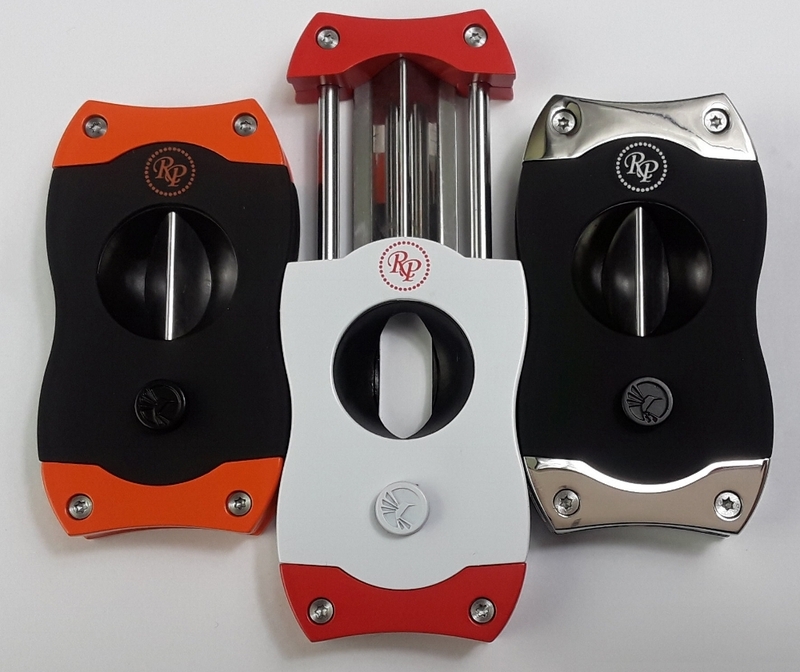 The cutters, retailing for $59.99 on rockypatel.com, will bear the Rocky Patel brand name and be made available in three color combinations: white and red, black and orange, and black and palladium. The cutters will also be available as gift items with box purchases at Rocky Patel in-store events. Two additional patterns will be available exclusively at BURN by Rocky Patel cigar lounges.